UFC correspondent Megan Olivi takes us through a memorable 2017 UFC Hall of Fame Induction Ceremony featuring Maurice Smith, Kazushi Sakuraba, Joe Silva, and Urijah Faber. 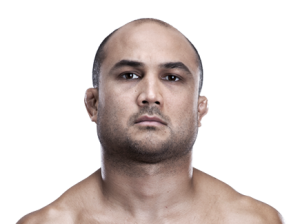 As a recap to what occurred during this year’s 2015 UFC Hall of Fame induction ceremony, UFC correspondent Megan Olivi takes you through the day with interview of this year’s inductees, Matt Hughes, Frank Trigg, Bas Rutten, and “The Prodigy” BJ Penn. UFC will host a media conference call with the 2015 UFC Hall of Fame inductees on Monday, July 6 at 4pm/1pmET PT.